Sure running is great to keep you going and you love the ‘runner’s high’. But, it’s a proven fact that skipping, cycling and cardio burn the most amount of calories, in case you’re looking to shed some flab and get in shape. To help you achieve that goal, hit up these exercise forms. Gymnastics is an intense workout and helps you develop strength, flexibility by using your own weight. Too clumsy for this world? Gymnastics helps develop better coordination and body awareness too. This fun work out combining dance moves and step workout involves movement of the entire body – from your arms, to your shoulders, to your feet. You’ll get a full-body workout that doesn’t feel like work, while burning around 600 to 1,000 calories in a single class. CrossFit burns more calories in a shorter period of time and uses your body weight to build strength.You develop a stronger core and endurance. 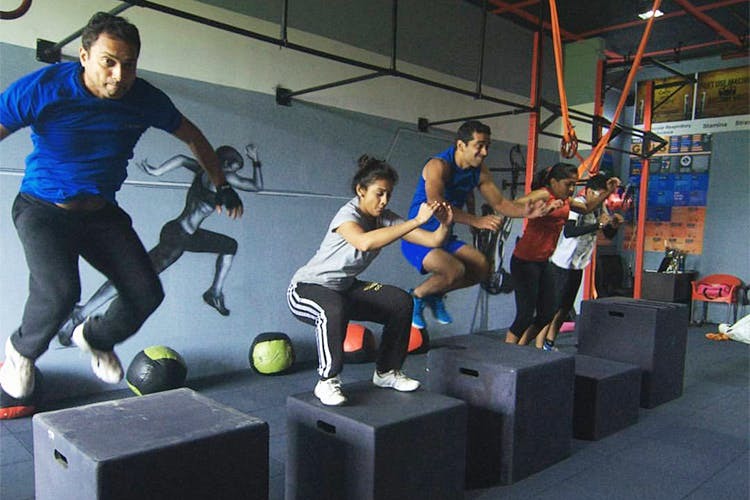 The Space in Juhu has a high-intensity cardio workout called ‘Cindy’s Boot Camp’. It works all muscles of the body and builds a strong core, agility and muscular endurance. Looking to get a chiseled body? Head here. Aerobics burns calories by the minutes and if it’s done in the water, the impact multiplies. Aqua aerobics is a fun stress-buster and allows you to tone the core muscles. Aero Step uses a step bench and is a cardiovascular workout that includes a wide variety of exercises from low-impact ones intended for beginners to fast-paced ones aimed at advanced exercisers.